Hydraulic hose is a key component in a hydraulic system. It is flexible while still maintaining full pressure capabilities. 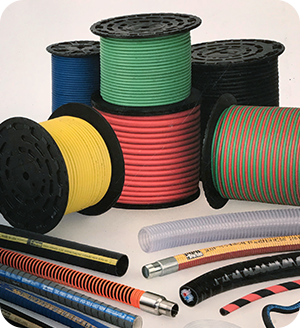 Hydraulic hose is made up of a variety of rubber and blended rubber materials, depending on the application. It is recommended that you use the STAMPED method for finding the correct hose application. 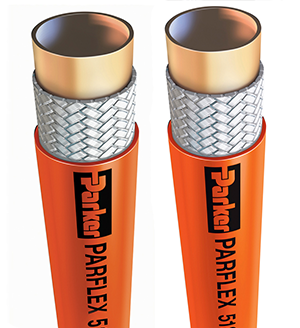 We stock Parker hydraulic hose and can custom fabricate anything for any application. 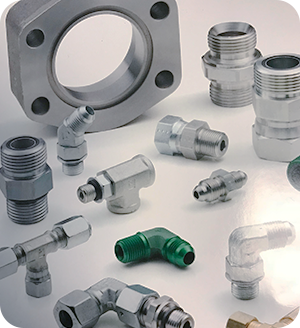 Hose fittings are designed for a variety of different applications. 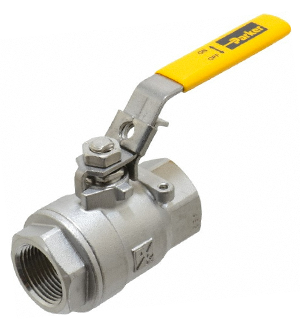 We stock Parker 43 series, 71 series, and 78 series fittings, as well as a few others. There are ends interchangeable with almost every major equipment manufacturer. 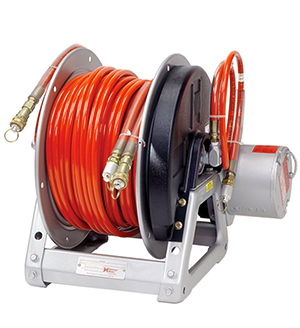 Thermoplastic hose is designed for applications where rubber hose can’t be used. The hose is slick and smooth on the outside to help slide and move on surfaces where rubber hose would grab. 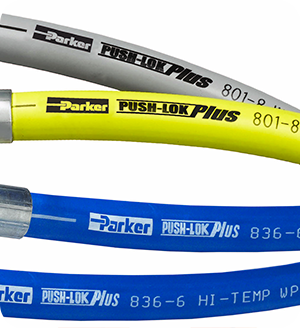 We stock Parker 55 series and 58 ends and a wide variety of Parker Thermoplastic hose and tubing. Plastic tubing is also included in this catalog. 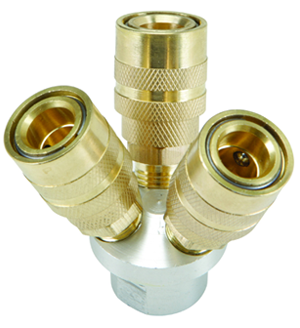 Taylor Made Hose has a wide selection of brass products, which also include some plastic and nylon fittings. There is just about any combination you can imagine for brass parts. Parker brass is more robust and heavier than most manufacturers. Quick couplers are designed for ease of connection. They can be put together or taken apart easily allowing for changing out of components quickly. Parker has a wide range of quick couplers from air to hydraulic and any application in between. Taylor Made represents 2 major reel manufacturers. Hannay Reels and ReeICraft. Reels are a custom order and a built to order product. Reels can be built for most any application from land to sea. We maintain a close relationship with our vendors to help you get the reel you need for your application.